This approximately $42 million project will transform the property into a full-service, 160-room “upper-upscale” hotel with restaurants, lounges and banquet facilities. Brine Wells Development’s plans will restore the lobby and related spaces to a quality level consistent with the property’s original design and restore the main ballroom to its original 1920s condition. An on-site, full-service restaurant will focus on local foods and New York State wines, to be complimented by a lounge also equipped with sidewalk patio facilities. Other amenities include private meeting and dining rooms, a gift shop and exercise facilities. A new roof top terrace lounge is also part of the project. Brine Wells will pay USAN $1 to purchase the property and will receive an ESD economic development incentive of $3.5 million. Brine Wells will also secure state/federal historic tax credits for the project. The project will employ 150 direct, full-time equivalent (FTE) construction jobs and 67 direct, full-time equivalent (FTE) permanent jobs. USAN issued a Request for Proposals (RFP) in August 2016 for qualified developers for redevelopment of the Hotel Niagara. In July of 2017, Governor Cuomo announced that Brine Wells Development was selected as the developer for the Hotel Niagara project. New York State followed with negotiations with Brine Wells Development on a development agreement. 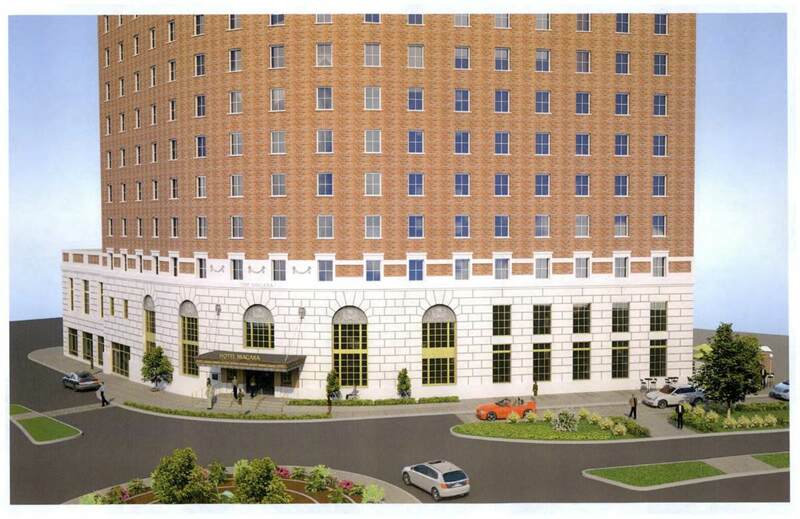 In December 2018, the USAN Board authorized the corporation to formally enter into a development agreement with Brine Wells or its wholly-owned affiliate to start the Hotel Niagara restoration. Construction will start in August 2019 with an expected reopening in 2021. Built in 1924, the Hotel Niagara holds a prominent place in the downtown Niagara Falls, New York skyline. After decades of deferred maintenance, neglect and multiple changes in ownership, the hotel was acquired for redevelopment by USA Niagara Development Corporation (USAN), a subsidiary of Empire State Development Corporation, with $4.4 million in Buffalo Billion funds. USAN issued a Request for Proposals for the complete renovation of the architecturally significant property and Brine Wells Development LLC was chosen as the developer for the historic property. Through this partnership with Brine Wells, USAN will ensure that this property is put back into productive use to contribute to the visitor experience in downtown Niagara Falls.